The Lighthouse Wards at Princess Elizabeth Hospital, Guernsey comprise three single storey wards containing 60 continuing care units for elderly patients. The buildings accommodate elderly patients with mental health problems and enable people with long term care needs to live and be cared for by professional and experienced staff 24 hours a day. Unfortunately, after only a few years, the plain tile roofing on the wards failed. 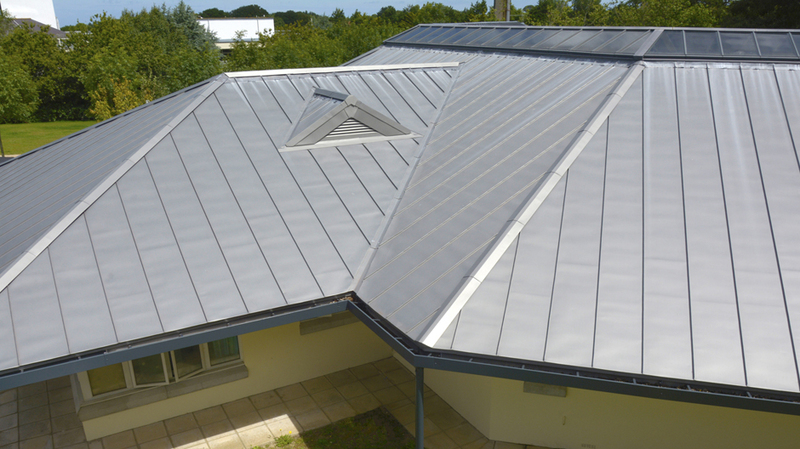 It was replaced by a zinc standing seam roof supplied by SIG Zinc & Copper. SIG Zinc & Copper were approached by the hospital’s architect, Naftel Associates, after the tiled roofs on buildings failed just five years after installation. On inspection, it transpired that the tiles had been installed at too shallow a pitch, and water ingress had damaged the roof structure causing complete failure. 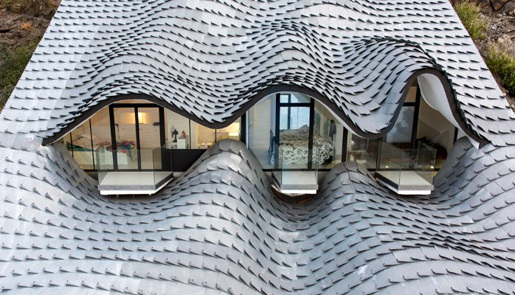 The architect wanted to use zinc as an alternative roofing material and we confirmed it was suitable. zinc was chosen for its modern appearance and its low-maintenance credentials. The Klober Promo-Sec structural underlay provides an air space below the metal deck, a cost-effective alternative to using zinc with a coated back surface. It must be installed with the proper 28mm fixing clips so as not to compress the underlay, but with SIG Zinc & Copper supplying the materials and policing the installation from the deck up, and with experienced, reliable contractors, this is not an issue. The work was carried out by Guernsey contractor Sarnian Roofing who have completed several projects with SIG Zinc & Copper supplied products. The new roofs were installed on the first ward block in a 10-month period with no disruption to the patients whilst the continuing care units were in use, providing considerable comfort for the administration of the hospital who did not need to arrange decanting whilst the works were carried out. All three wards were carried out in phases over a year, and Sarnian installed a temporary roof with full scaffolding each time so that they could work underneath and the residents could remain safe and happy. The panels for the Lighthouse Wards were installed using the S-5-PV Kit, a fixing system which attached direct to the standing seams on the roof, producing no penetrations whatsoever and leaving a 40mm space underneath the panels which washes through with the rain. The installation was monitored by SIG Zinc & Copper who ensured that the cable penetrations were taken through the eaves and not the roof finish. 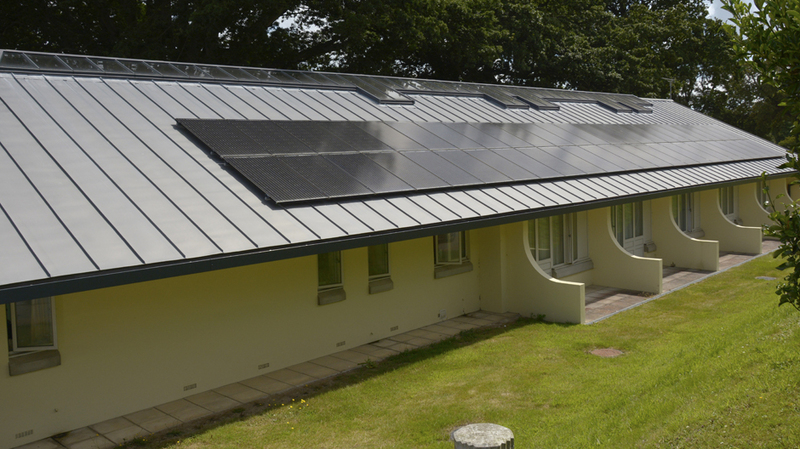 The S-5 fixings produce a PV installation which not only works well but also looks very neat and clean. 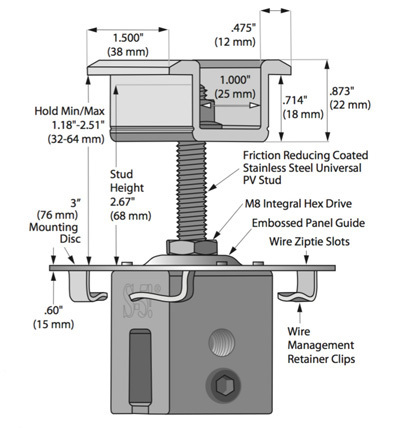 The same fixing clips can also be used for man-safe systems and snow guards if required. So, what do the users of the Lighthouse Wards think of their new roofs? Reports are that the staff are very pleased with them. The new construction is a lot warmer and heating costs have understandably reduced. Whilst nurses were initially concerned about rain noise, we could confirm that this is not a problem with this type of construction, and there have been no issues since the roofs were installed in 2016. 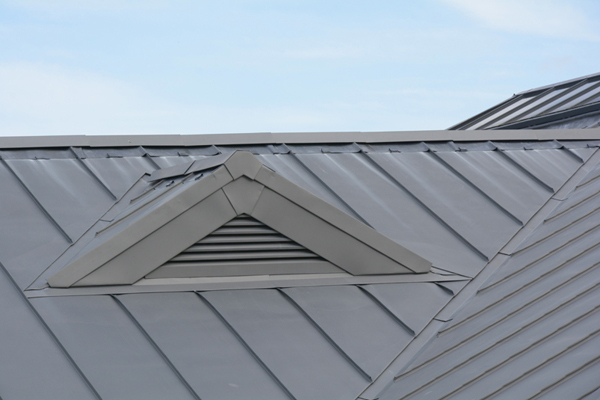 SIG Zinc & Copper has guaranteed the new roofing system for 20 years on both materials and labour. We expect the roofs to keep their residents warm, dry and quiet for years to come.